Do I need to be present for delivery or pickup? Yes, someone 18 or older needs to be present to sign for the boxes. A signature is required for delivery and pickup. 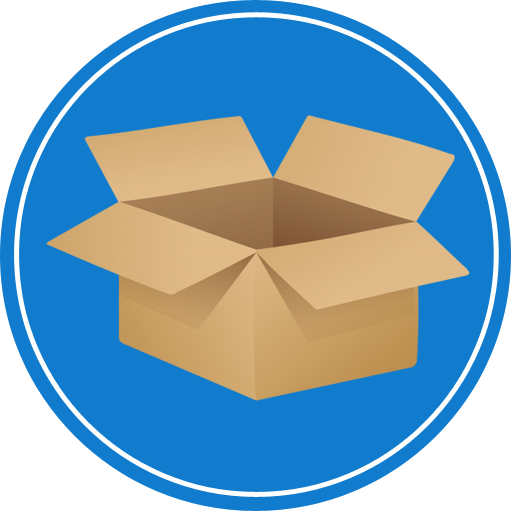 Can BluBox-it pack the boxes? We do not pack the bins, but for an additional cost, we can set you up with a moving company that will provide packing services. How much weight can BluBox-it moving box and lid hold? Our BluBox-it bin can hold approximately 100 lbs and the Lid can hold approximately 100 lbs. BluBox-it bins are cleaned and inspected after every use. Can I have a special package created for me? Yes, just let us know your needs and we will be more than happy to create a package for you. What If I need the moving boxes for longer? Additional charges will apply, just call and let us know how long you will need the boxes for and we will be happy to accommodate you. No. ***Delivery and pickup is free with every rental with in the “BLUE” Area . What are the dimensions of the BluBox-it bins? What if I want to keep or purchase a BluBox-it bin? Not a problem! The bins are $35 a piece. How soon can I receive the moving boxes? Boxes can usually be delivered the day after your order has been placed.